Are you ready for a Total Health Transformation? The TERRAfit challenge is a 12 week or 21 day Sprint healthy lifestyle contest. Remember that if there is any goal that you want to achieve in your life, whether it is health, fitness, financial or relationship-oriented, caring for your body adds an element of dynamic fuel that brings positive energy to all your other endeavors. This contest is the first step in creating the life you've always wanted – and what a fun way to start. Take some time to read through the contest rules below so you can plan to incorporate all of this healthy lifestyle program. Commit yourself to the training schedule, and pay attention to what food and nutrition you bring into your body. To provide you with better support in your lifestyle changes you will be placed in a team of 5 individuals. As an added incentive there are cash prizes for the winners. Cash prizes will be given to individual winners and also winning teams. The registration fee for the TERRAfit 12 Week Challenge is only $25 per person. If you take advantage of our annual pass, it is $99 and includes TFA for 12 months, free challenge registrations for the whole year, and a 50% off buddy pass for one challenge! It is our best deal ever, so take advantage of this offer TODAY! *These registration fees to go the prize pool at the end of the challenges. You will have the opportunity to compete with friends, or you will be placed in a team of other individuals (forming your own team is typically more successful). The amount of participants in a team can vary. At least 3 active participants are required on a team in order to qualify for contest winnings; however, a team can still participate with more or less participants. We suggest keeping teams close to 5 participants since that is where we have seen teams have the most success, but you may have more than that if you desire. Not only will you have a blast doing this contest together, but your team members will become your best support system. They will hold you accountable, keep you motivated, and make this challenge fun! Remember, you must finish the contest with at least 3 active participants to be eligible for contest team prizes. *Note that average scores are tallied and summed at the end for the cumulative score. Zero scores are considered an inactive player and therefore, not considered part of the average scores. Note that any point entry is considered an active player, and therefore included in the weekly scores. The team leader is responsible for keeping the team motivated and fully committed to the challenge by posting comments, ideas, motivational quotes on team message boards frequently. We recommend posting at least once a day – this is what helps build team camaraderie and foster positive attitudes of change. Simply put, it is the team leaders responsibility to help their teammates reach their goals, and win the contest. *Having a team leader is optional according to the coach. Team leaders should be selected by the group, or appointed by the coach. They are there to help the coach with anything needed. Each team will have a coach. These are individuals that have previously competed, are currently competing, or are enrolled to compete in a TERRAfit challenge and have taken the training to become a certified TERRAfit coach. These coaches will be familiar with the products used in the TERRAfit challenge, they will work with the team leader to motivate teammates, and they will be an advocate for healthy lifestyle changes. Coaches are an integral part of a team's success and are eligible for a share of the team and individual winnings. A coach can, and is encouraged to, recruit and mentor any number of teams. Coaching more teams improves his/her odds of having the winning team. There is also an opportunity for coaches to win prizes in the end along with their teams upon doing well in the challenges. The TERRAfit Team will coach teams that are created without a specific coach being identified. Coaches that are participating along with their team will not be eligible to receive an additional payout of winnings. *Total Number of Annual Subscribers to the Advantage Program who participate in any given challenge will be removed from final participant numbers for calculation of challenge prizes. Annual subscribers may still win prizes, but are not counted as participants. *Coaches will receive 10% of the team winning, unless registered as a participant to their own team. *Coaches do not receive a portion of the winnings during a sprint. Less than 100 participants = Half of the $19.95 registration goes to the prize pool. 50% of the prize pool goes to the winning teams (70% to winning team, 30% to 2nd place team). 100+ Participants= Top Team $750 in prize money. 2nd place team $350 in prize money. *Coaches do not receive a portion of the winnings during a Burst. Even though you have the opportunity to compete as a team, you also have the opportunity to excel as an individual. So don't worry if your team isn't doing so well; it won't hold you back in the individual competition. Weekly winners have a deadline for reporting by Monday at Midnight MST to be eligible for weekly prizes. If you don't report your points by Monday at Midnight, you can add your points later (up to two weeks later); however, you are not eligible for weekly prizes. Points must be logged into TERRAfit.com to be eligible for the contest. 320+ participants = 3 Winning Individual of Individual prize pool, 1st Place 60% of individual prize pool, 2nd Place 30% of individual prize pool and 3rd Place 10% of individual prize pool. Cash Prizes will be awarded in the form of pre-paid gift cards or written checks upon the challenge completion date. Coaches of winning individuals receive 10% of the prize money. EXAMPLE: Jill wins first place for a prize value of $1500. Jill's coach will receive $150 the remaining $1350 will be paid to Jill. *Coaches of winning individuals receive 10% of the prize money. Weekly prizes are awarded to the following people: Team members of the first place team along with their coach, Winning individual for points, and winning individual for weight loss points. These weekly awards are $25 gift certificates to be used online at OilLife. *Coaches that are participating with their teams will not be eligible to receive additional weekly prizes for winning. At the end of the challenge, participants will be asked to submit before and after pictures. These pictures MUST HAVE a date stamp on them from the day they were taken. All pictures reviewed will be eligible to be part of our before and after contest, where we will award money to the winner. A winner will be selected based on the following criteria: Weight Loss/transformation, and picture quality. These pictures, when submitted, will become the property of TERRAfit, and can be used for purposes of marketing in any and all forms, including digital and print. If you win more than $600, you are responsible to fill out a W9 Form for tax purposes. This form will be sent to you after winners are finalized. Winnings cannot be sent out until we receive this information. If you win less than $600 in one challenge, but then win another challenge that puts you over the $600 limit (combined), you will also receive this form to be filled out. We have put together a program that is guaranteed to help you gain that healthy lifestyle you have been searching for. 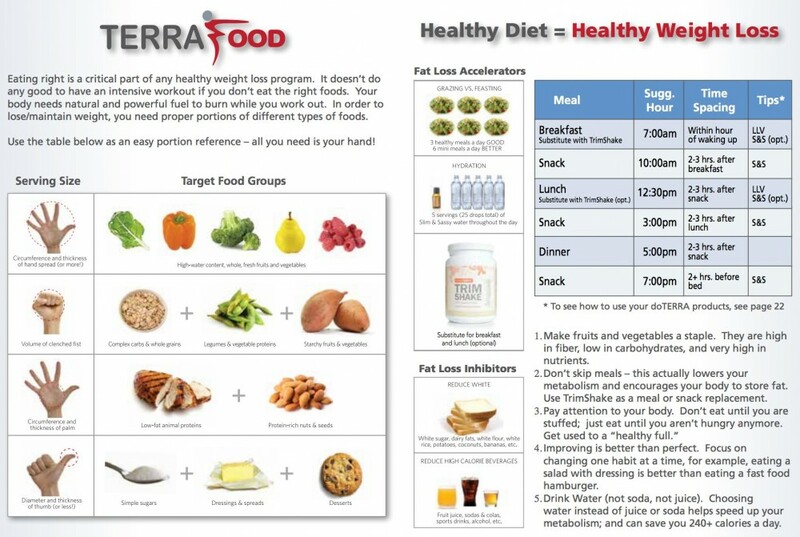 We like to refer to this program as our TFA (TERRAfit Advantage program). This Advantage program includes workouts, day to day calendar, different 30 day workout program options, recipes, and meal plan and prep. It's like an online gym that you can take advantage of in the comfort of your living room. Many people don't realize that what we eat has a huge impact on our lives. This program is a great way to get ideas and meal prep on how to turn your eating into healthy eating. It has changed so many lives and can change yours as well. The workouts go anywhere from 15 minutes to 1 hour videos that include combinations of cardio, core, kickboxing, yoga, strength and resistance training, and so much more. There is a workout for every person no matter if you are a beginner or a gym rat! We know we are all at different levels, so feel free to swap in and out the different workout videos on your calendar as well as modify moves when needed. The monthly TFA costs $11.95 per month. The best part is, you don't even have to be in a challenge to enroll in our Advantage program. If you don't want the challenge part of TERRAfit, you can take advantage of our program without competing. Sign up today at terrafit.com. When starting a challenge, you will be given a free trial of one week to our TFA program. After the week trial, it will start to charge the $11.95 monthly. This monthly charge will continue UNTIL cancelled through email at myterrafit@gmail.com. That means it will continue after the challenge has ended until cancelled by the participant via email. With our annual subscription you get all the benefits of the monthly subscription with one extra bonus. All challenge registrations are free during your Annual TFA subscription year. You pay a one time $99 fee for the year. The annual subscription will automatically renew each year. If you would like to cancel your annual subscription, you must email us requesting cancellation before the next bill date. In regards to the TERRAfit Advantage program, refunds will be given for anyone that emails to cancel within three days of the charge date. Please email us at myterrafit@gmail.com at any time to cancel the TFA program. There will be no cancellation charges. In regards to renewal of the Annual TFA pass, refunds will be given for anyone that emails to cancel within 14 days of the charge date. Please email us at myterrafit@gmail.com to cancel your subscription to avoid this charge or request a refund within the allotted time. *If at any time you would like to cancel your monthly TERRAfit Advantage subscription, please email us with your name so we can do so. This is the ONLY way to cancel your Terrafit Advantage program*. If you enroll in our Annual TFA pass, you must cancel this pass within three days of the challenge start date in order to be eligible for a refund. If three or more days have passed since the start of the challenge, you are considered a permanent player and therefore, have committed your entry fee to the prize money pool for the year. We do not give partial refunds. In regards to renewal of the Annual TFA pass, refunds will be given for anyone that emails to cancel within 14 days of the charge date. Please email us at myterrafit@gmail.com to cancel your subscription to avoid this charge or request a refund within the allotted time. A total of 700 points per week is possible (not including weight loss or pay it forward points). You earn points based on what you eat, how much water you drink, your exercise, daily challenges and additional bonus opportunities. Eating right is a critical part of any healthy weight loss program. Your body needs natural and powerful fuel to burn. You earn 2 points for each serving of healthy food, with a maximum of 20 points in this category per day (Yes, you can have multiple servings of the same healthy food). A list of healthy foods is provided at the end of these instructions. Your parents were right. Vegetables ARE good for you, so you earn an extra 10 points if you have 4 or more servings of vegetables in a day. These 10 points are "all or nothing". Eat at least 4 servings and you get 10 points, anything less and you get nothing. Yes, these points are in addition to points you earn for choosing a healthy food. So, if you eat a serving of broccoli, you get 2 points for choosing a "healthy food" and if you eat 3 more servings of vegetables you also earn 10 extra points. You won't reach your goals by working out if you eat the wrong foods. You will lose 2 points for each serving of unhealthy food. BE CAREFUL; don't get carried away, because there is NO LIMIT to how many points you can lose each day. A list of unhealthy foods is provided at the end of these instructions. HOWEVER, you get one FREE MEAL each week without having to lose points. A FREE MEAL consists of a maximum of 4 servings of unhealthy food eaten as part of a single meal. Eating smaller meals more regularly helps keep your metabolism going and helps to release fat. You earn 5 points for eating 6 small meals rather than 3 larger meals. So, plan ahead and always have some healthy food handy. Foods not listed on the "healthy" or the "unhealthy" lists are neutral foods, and therefore do not add or subtract points for your daily points. It isn't good for your body to eat late. So get in the habit of eating earlier. You earn 5 points if you don't eat anything after 8pm. Choosing water instead of juice, soda, colas, sports drinks, alcohol, etc helps speed up your metabolism; and can save you 240 calories or more each day. You earn points based on how much water you drink each day. We know that the length of time we exercise has a direct impact on how many calories we burn – and thus, how much fat we lose. You earn 20 points if you exercise for at least 30 minutes each day. If you can carry on a conversation while you are exercising, then you aren't working out hard enough. To earn your 20 points for exercising you must be out of breath enough during your workout that you can't carry on a conversation. The TERRAfit Workout program is centered around a unique 4x4 Interval System combining lean muscle strength training with High Intensity Interval Training (HIIT) – which can help you burn up to 9-times the fat and calories of a traditional cardio workout by helping your body continue to burn calories even after the workout. When you engage in brief periods of strenuous exercise, our bodies can't bring in enough oxygen. This creates an oxygen deficit. Our body then engages in Excess Post-Exercise Oxygen Consumption (EPOC). EPOC is directly correlated to the intensity of your workout session. The more intense the workout, the more calories your body will burn after the workout has ended. The calories continue to burn until your body returns to the state it was in before you started working out. We also have incorporated yoga, kickboxing, cardio, core, and so much more into our workouts. There are new workout videos added monthly so you won't get tired of the same old workouts every day. So, you earn 10 bonus points if you use the TERRAfit workout and follow the TERRAfit workout schedule as your exercise routine. Proper warm up and cool down are important to any workout program so you must complete the entire workout including warm up and cool down to earn these 10 extra points. For example: if you are following the TERRAfit program you only need to do the workout that is on the TERRAfit schedule in your workout guide. You'll receive 20 points for working out and 10 points for following the TERRAfit program with a total of 30 points per day. We strongly recommend following the TERRAfit workout schedule; however, you are allowed to do your own workout and still get the 10 bonus points if certain specifications are followed: You are a part of the TERRAfit advantage monthly subscription even if you are doing your own workout (the DVDs do count as the subscription); the workout must be at least 30 minutes and increase your heart rate sufficiently in order to burn calories; if you can carry on a conversation while you are exercising, then you aren't working out hard enough. If you feel that your workout has been sufficient and are a part of the TERRAfit advantage subscription, then you can give yourself the 10 points for following the TERRAfit workout schedule. If at any time you would like to cancel your subscription, please email with your name so we can do so. This is the ONLY way to cancel your Terrafit Advantage program. Wednesdays and Sundays are your rest days from exercise for anyone participating in a 12 week challenge. You are welcome to change around the rest days if they do not work with your schedule, but DO NOT put two rest days next to each other. However you want to take rest days, please take them because your body needs it. Don't worry because you will automatically get 20 points for working out, even though it is a rest day. Be sure to give yourself the 20 points allotted for exercising on Wednesday's and Sunday's. If you are subscribed to the TERRAfit Advantage Program (TFA), please give yourself the BONUS 10 points for following the TFA program. *21 day sprint exception: Participants may choose to take a yoga or stretching active rest day once a week if needed. Participants are allowed to log full points for food and water for 1 day per month if they are doing a fast for at least 2 meals. Can't resist those mid-day munchies? The Metabolic Blend of essential oils is designed to help manage appetite between meals. It will help manage hunger, boost your metabolism and lift your mood. You earn a bonus points if you add 3-5 drops of Metabolic Blend to a glass of water at least 3 times in a day. Meal Replacement Shake is a convenient and delicious shake mix that provides essential nutrients. When two scoops are combined with one cup of non-fat milk, this shake contains only 240 calories. Two scoops of Meal Replacement Shake provide important amino acids to help prevent deterioration of muscle mass and improve muscle tone during exercise. You earn bonus points if you replace one of your meals with Meal Replacement Shake. The Supplement Pack is formulated with potent levels of essential nutrients and powerful metabolic factors for optimal health, energy, and longevity. The Supplement Pack will support your exercise and wellness efforts. You earn bonus points if you use the Supplement Pack as directed on the package. Lemon essential oil dissolves petrochemical toxins. When 3 drops of Lemon essential oil are added to a glass of water it will help your body detox. You earn bonus points when you add 3-5 drops of Lemon essential oil to your water at least three in a day. Energy and Stamina Complex supports healthy mitochondrial function and aerobic capacity, and improves stamina naturally without the use of harmful stimulants. Use Energy and Stamina Complex as a healthy long-term alternative to caffeinated drinks and supplements for increased energy and vitality. Essential oils are a great way to help you have optimal health and support your exercise and wellness efforts. For instance Peppermint essential oil invigorates the lungs and helps cool the body, so breathing it in before a workout or applying a couple drops topically on the back of your neck during a workout can be very refreshing and invigorating. The Respiratory Blend also invigorates the lungs. Soothing Blend is a blend of essential oils that provides comfort to occasionally tired and sore joints and muscles. You earn bonus points for using any of these three products throughout the day. If you have any questions about how to use essential oils your coach is your primary point of contact. Each day, you will be given a simple Daily Challenge. Your challenge will be posted Daily to your TERRAfit app under the "daily challenges and more" tab. Be sure to check your TERRAfit app each day and complete the Daily Challenge to earn 10 bonus points. You earn points once per week based on how much weight you lose that week. An accurate way to calculate this is based on your beginning weight. STEP 1: Weigh yourself right when you get up in the morning (after you go to the bathroom) every weigh in day using the same scale. *Weight Gain does not count against you for a loss of points; however, additional weight loss points cannot be earned until you drop below the lowest recorded weight during your challenge. Previous participants in the TERRAfit challenge will be required to use their lowest recorded weight loss plus a variance of 3%. Therefore, weight loss will not count towards challenge points until you are within the 3% variance of your lowest weight recorded. Example: Joe participated in a previous challenge and recorded a low of 200 pounds. Joe starts another TERRAfit challenge and his newest beginning weight is now 220 pounds. Joe will not gain weight loss points for his new challenge until he is within 3% of his lowest recorded weight (200 pounds); therefore his points will start once he is below 206 pounds. *If it has been more than a year since your last TERRAfit challenge, you can email myterrafit@gmail.com to reset your weight for the upcmoing challenge. If you do not email, weight loss points will be determined upon your lowest recorded weight plus a variance of 3%. Bonus for "Paying it Forward"
When you do your best during the TERRAfit 12 Week Challenge you will look and feel great. People will notice and you will naturally want to share your success with others. We want to reward you for helping others join the Challenge (a new Challenge starts every month). You earn 10 bonus points for every person that you refer who joins the Challenge. For the duration of the entire Challenge, you can earn a maximum of 100 points for "Paying it Forward" during the challenge. Simply go to TERRAfit.com and follow the steps to refer a friend, pay it forward points will be added to your overall score in the week that it was accrued. That means that your points are added real time. (They are not added to your weekly score just over score). Throughout the challenge, there will be opportunities to hold special incentives to invite others to classes or participate in a TERRAfit challenge. These classes will allow you to accumulate an additional 5 points per person in attendance up to 50 points total. Class points will be added to your overall score in the week that it was accrued. That means that your points are added real time. (They are not added to your weekly score just overall score). 4 points if you drink 40 oz. 6 points if you drink 48 oz. 8 points if you drink 56 oz. 10 points if you drink 64 oz. Eggs, egg whites, boiled, etc. Bagels, crumpets, English muffins, etc. Dressings, hi-fat, ranch, Caesar, blue cheese, etc. Oils: canola, vegetable (soy oil), hydrogenated oils, palm oil, etc. White bread and bread foods, rolls, breadsticks, pizza crust, etc. White flour from grains and starches (this includes gluten free varieties). This does not include "meal" like almond or other nut meal because it still has protein, fats and fiber. The TERRAfit logo is a registered mark, and cannot be used without the express written consent of TERRAfit LLC. This includes but is not limited to online advertising, any digital or printed material. To apply for rights, please email our staff at myterrafit@gmail.com. TERRAfit is a sweepstakes style contest, and therefore, will not be required to give refunds for any products or services provided after 1 week of the contest beginning. Players will need to submit a request in writing via email to myterrafit@gmail.com by the end of the FIRST WEEK of the challenge start date, before 12:00 am (midnight) MST. Any and all players who do not submit a request to have their refunds issued before that time, are considered permanent players and therefore, have committed their entry fee to the prize money pool. In regards to the TERRAfit Advantage program, refunds will be given for anyone that emails to cancel within three days of the charge date. Please email us at myterrafit@gmail.com at any time to cancel the TFA program. There will be no cancellation charges. If you enroll in our Annual TFA subscription, you must cancel this subscription within three days of the challenge start date in order to be eligible for a refund. If three or more days have passed since the start of the challenge, you are considered a permanent player and therefore, have committed your entry fee to the prize money pool for the year. We do not give partial refunds.